With endless adventure, captivating educational destinations and picturesque landscapes, New Jersey proves to be a great place for student travel. New Jersey has much more to offer than just bridges to New York City. Students will enjoy the bountiful natural beauty of the Garden State and its many exciting attractions, including adventure destinations, museums and historical treasures. New Jersey’s endless hidden gems leave no student’s interests behind and provide opportunities for valuable exploration that won’t be forgotten. Read on to discover 10 must-see travel destinations for students of all ages. 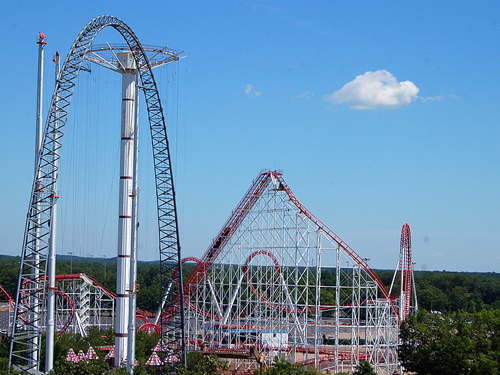 Students seeking thrills will find them at Six Flags Great Adventure in Jackson. Home to North America’s tallest and fastest roller coaster, Kingda Ka, Six Flags offers students a full day of excitement and variety. Roller coaster junkies and novices alike will be satisfied, as Six Flags features extreme coasters perfect for the ambitious and beginner-friendly rides suitable for the less experienced. If roller coasters aren’t enough, students can enjoy Six Flags’ onsite waterpark, Hurricane Harbor. In addition to enjoying rides, students will find a wide range of entertainment at the park’s performance stage where live music and shows are put on daily. Located just an hour’s drive from Manhattan, Zoom Ziplines in Vernon is the perfect outdoor activity for adventure-seekers looking to stay close to the city. Guided canopy tours allow for educational and safe exploration for students of all ages and experience levels. As part of Mountain Creek Ski Resort, Zoom Ziplines is just one of many exciting activities available. 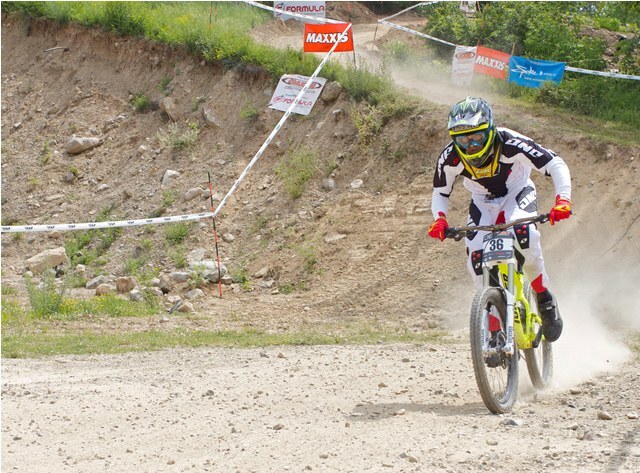 Students can also enjoy Mountain Creek Water Park and Mountain Creek Bike Park, which features trails catering to bikers of all ability levels. For students looking for an all-day water park adventure and more, Sparta’s Tomahawk Lake Water Park is conveniently located just an hour from the George Washington Bridge and offers a variety of attractions. Students seeking a traditional waterpark won’t be disappointed, as Tomahawk Lake features an assortment of water slides, a racing slide, a tube ride and the Apache Plunge (a 610-foot-long group raft ride). Beyond just the traditional waterpark, however, Tomahawk Lake offers students many exciting group activities. The park is situated next to a 20-acre lake where students are able to take boat rides, swim and revel in New Jersey’s natural beauty. Picnicking along New Jersey’s largest white sand beach is memorable experience. The park features a snack bar and offers catering for groups of 50 or more. A must-see for any history buff, the Battleship New Jersey in Camden allows students to board and explore the most decorated battleship in American history. Tours are interactive, and students can expect to maneuver through passageways just as the officers and crew of the USS New Jersey did when the ship was in use. But why stop there? 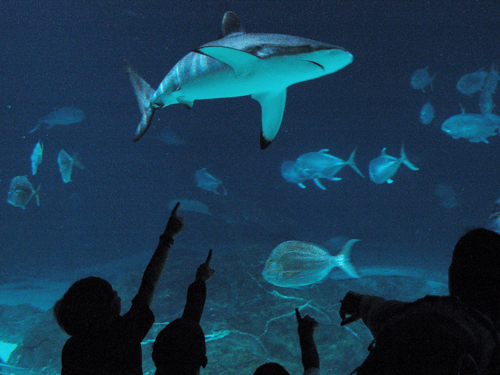 Within walking distance of the Battleship is Adventure Aquarium, which brings animals and people together to create extraordinary experiences. The Shark Bridge lets students walk inches above sand tiger, sandbar and nurse sharks among other animals. Students wanting to get up close with penguins have the opportunity at the Little Blue Penguins exhibit. Don’t forget to check out Hippo Haven, where students will come nose to nose with massive Nile hippos and experience a day-in-the-life on an African river. By purchasing the Fish and Ship ticket, students can experience both the Battleship New Jersey and the Adventure Aquarium at a lower cost. Students interested in the works and legacy of inventor Thomas Edison will be thrilled to visit the Thomas Edison Center. The center’s mission to honor the memory of Thomas Edison while educating the public of his legacy and inspiring students is achieved as students learn of his impact on modern research and development. The center is located in Edison State Park, where students can explore a multitude of marked nature trails. 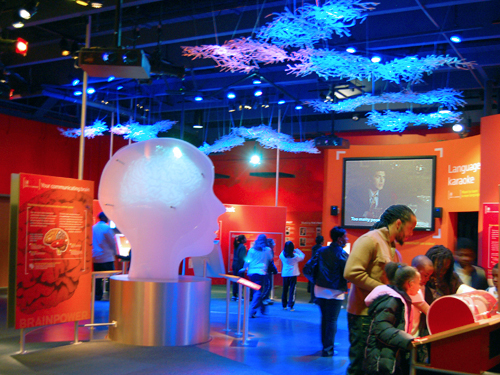 For a learning experience that covers all the bases, Liberty Science Center in Jersey City is an interactive museum with nearly 20 exhibits. Eat and Be Eaten is filled with real animals and teaches students the workings of the food chain. The BASF Kids’ Lab allows students and educators alike to conduct hands-on science experiments while learning together. The Nikola Tesla Lighting Show allows students to explore the excitement of electricity with Tesla coils, robotic drums and wireless illumination. Field trip specialists are available to help plan visits that fulfill curriculum goals inspire students to learn more about STEM. For students willing to get up close and personal with creepy crawlers, Insectropolis offers exhibits and touch presentations that make you squirm while gaining an appreciation for insects of all kinds. The Bugseum of New Jersey in Toms River works to teach and motivate visitors to discover the lives of insects and offers tours and educational programs adaptable to groups at all grade levels. 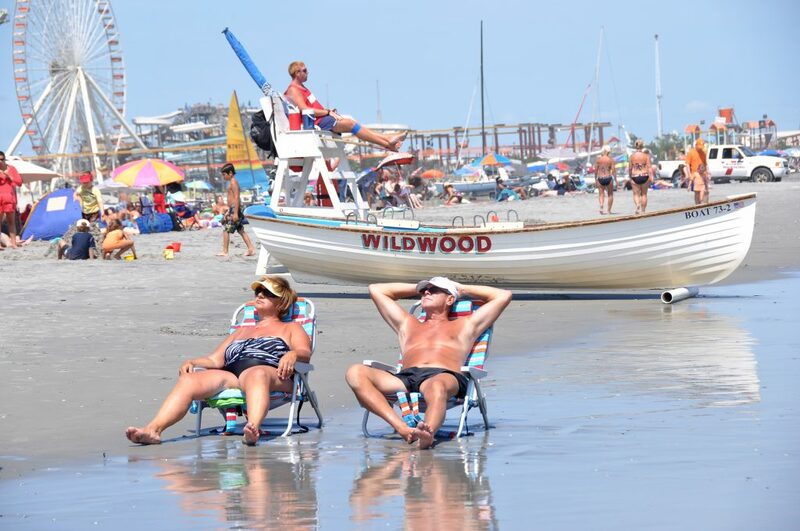 For the quintessential Jersey Shore experience, students will enjoy Wildwoods Beaches. Key features include wide expanses of white sands and swimmer-friendly waters, which add up to a quality bathing experience that students won’t forget. After a day at the beach, students can head to the Wildwood Boardwalk, where fun is guaranteed. The plethora of rides, shops, eateries, arcades and other attractions takes up 38 blocks’ worth of boardwalk and promises an unforgettable evening. Cape May Whale Watch offers a sea safari during which students will learn to spot whales, dolphins and other animals. Students will observe the breaching patterns of various marine mammals and learn how to help preserve their habitat. The creatures’ beauty captivates students of all ages and the naturalists on the boat provide an educational discussion on the marine life the students will encounter. For an artistic experience that highlights New Jersey’s natural beauty, students won’t be disappointed by the Grounds for Sculpture located in Hamilton. 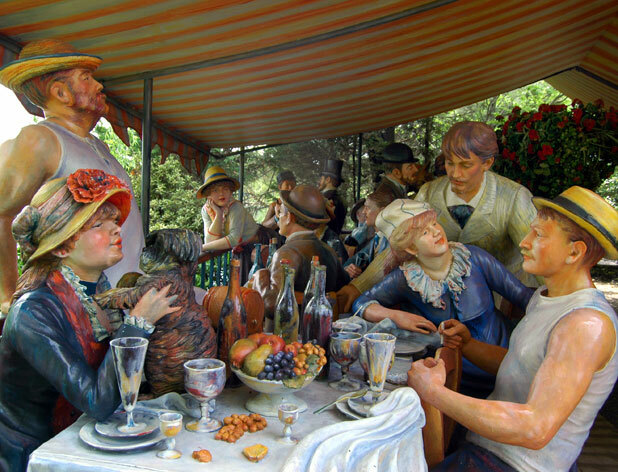 Forty-two acres of land that was once the home of the New Jersey State Fairgrounds is now adorned with sculptures of various styles that captivate visitors and complement the natural flora of the Garden State. Docent-guided tours are available free of charge for groups of up to 45 students. The Garden State is the perfect place for student travelers to dig up exciting new adventures.